Welcome to TENKAIMEI-CRISIS Web Page. TENKAIMEI-CRISIS is a Doujinshi-circle comprised of three members, Tenoh-Omitsu, Kaioh-Wanko and Kaiketsu-Pluto. 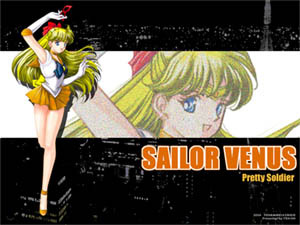 We are mainly focusing on AKUYAKU (villain) and the OUTER Soldiers of Pretty Soldier Sailor Moon.